HP DesignJet Inkjet Large Format Paper, 7 mil, 24" x 100 ft, High-Gloss White - High-gloss Photo Paper is a low-cost glossy photo paper that looks impressive. 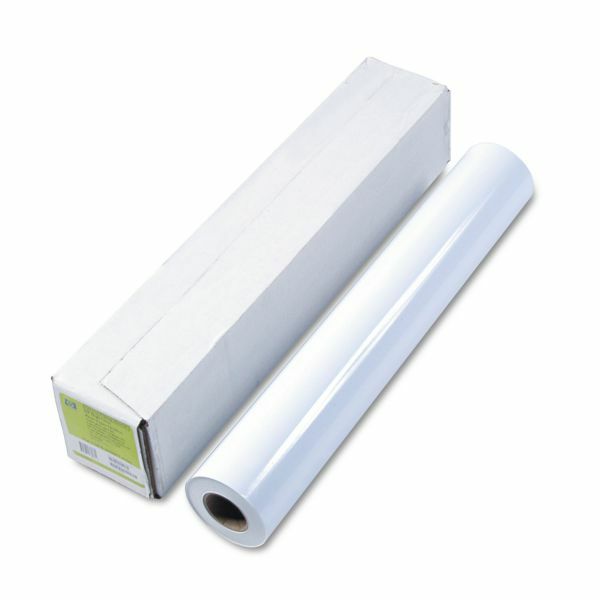 Compatible with many large format printers. Designed for the price-sensitive large-format printer user. Photo paper offers an economical choice for presentation graphics, displays and color presentations.